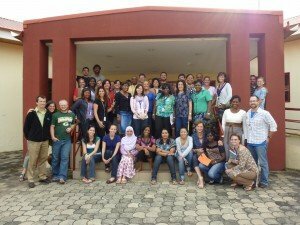 The staff at the American International School of Abuja. 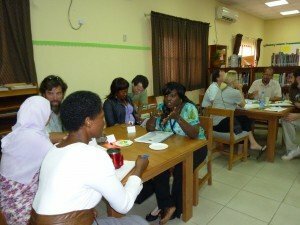 After a journey that is worthy of many posts on its own, I arrived in Abuja, Nigeria to begin a two day training session with the staff at this school. Today was spent talking about the foundation required for effective assessment practice and there were many insightful comments shared. As has been the case in many venues, the concerns around time, challenges of being the only teacher in area, and varying levels of fluency in the process threatened to derail progress and healthy planning. Nkechi offers some perspective on an aspect of formative assessment. The good part was that the conversations also produced some deep insights that provided some initial responses to the concerns and a way forward. I’m looking forward to day two of the dialogue and to laying the foundation for good work moving forward.